Christmas is notoriously a time for indulgence. With rich foods, high-sugar drinks, copious amounts of alcohol, and a whole lot sitting around, the body becomes clogged with the stagnant remnants of holiday-time extravagance. Bad digestion can lead to weight gain and winter blues, so clearing out the organs helps to get things flowing and to keep the pounds off, breaching the new year with a clear mind and a fresh body. 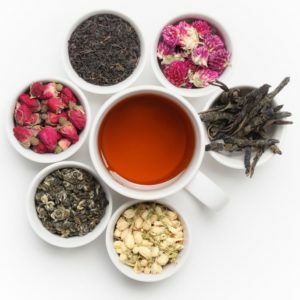 The following tea recipes will help to move toxins through the body, getting you on the way to a healthy new year you. With all the festivities, the liver takes quite a beating over the Christmas period. Visiting family and friends inevitably leads to more drunken nights than usual. The liver acts a filter to rid the body of toxins, so making sure that system is clear itself helps the body to drain all those nasty components. Brewing up a tea with milk thistle and turmeric really helps to clean out that liver. Milk thistle has been used for thousands of years as a cleanser for the liver and gallbladder as it helps with detoxification of poisons such as alcohol, while also improving digestion, promoting bile production, and repairing the damaged liver tissue. Turmeric is one the greatest antioxidants and anti-inflammatories on the planet. It stimulates the enzymes which help to flush toxins from the body, while regenerating liver tissue and providing protection from harmful toxins to the liver. Why not try a 24-hour fasting detox, drinking this tea 3-4 times throughout the day. If your tummy is feeling a little funky after having such a Christmas workout, it’s best to try and move any remaining remnants of unhealthiness through the system. 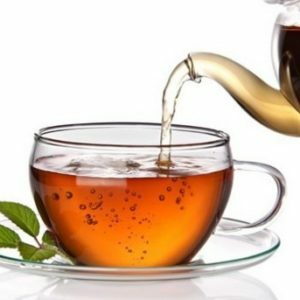 A basic tea recipe to help this peppermint and aloe vera tea. Peppermint and aloe vera teas soothe the stomach, acting as a digestive aid. If you’re experiencing a little diarrhea or intestinal colic, the peppermint will aid this. The aloe vera will help to relieve constipation of solids of gasses, relieving bloating, which is why it’s often used in supplements for tummy flattening, such as Belly Flat. Your kidneys are vital to keeping the system clear, so making sure they’re functioning on top form will prevent infection. Many people experience lower back pain after heavy festivities due to the alcohol toxin buildup in the kidneys. Celery seed and watermelon seed teas help to get this moving. A great acid-alkaline balancer, celery seed help to clear uric acid, which can be the cause of lower back pain. An excellent anti-bacterial agent, celery seeds clear the urinary tract and act as a diuretic to wash waste from the bowels and kidneys, as well as the skin. Watermelon seeds stimulate circulation and help to invigorate under-active kidneys. They are also great for helping to pass kidney stones. A small warning as celery seed tastes salty and is, therefore, a little unpleasant to drink, but the benefits are huge after a heavy Christmas alcohol binge! Known as the little brain, your digestive system holds the key to feeling healthy both physically and mentally. So if your body is feeling bloated and overworked after the Christmas period and your mind is a little cloudy and blue, try using a teatox to move the toxins through your body, clearing the digestive tracts and invigorating a new you for the new year.